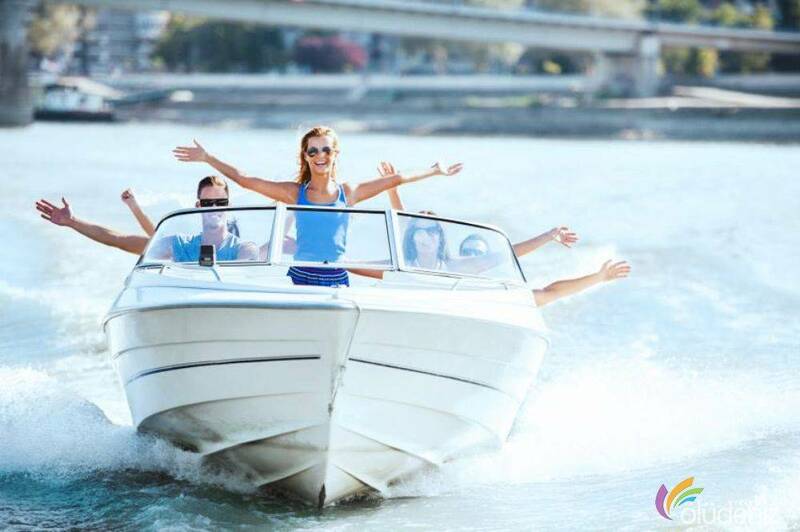 Are you ready to be your own boat’s captain all through the day ? 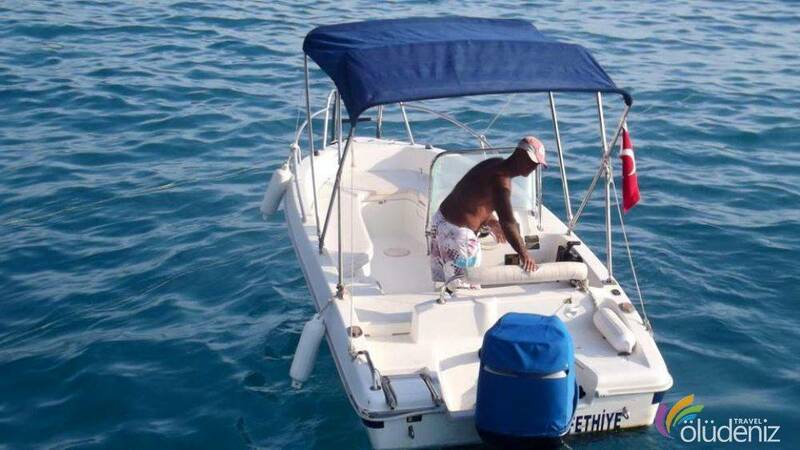 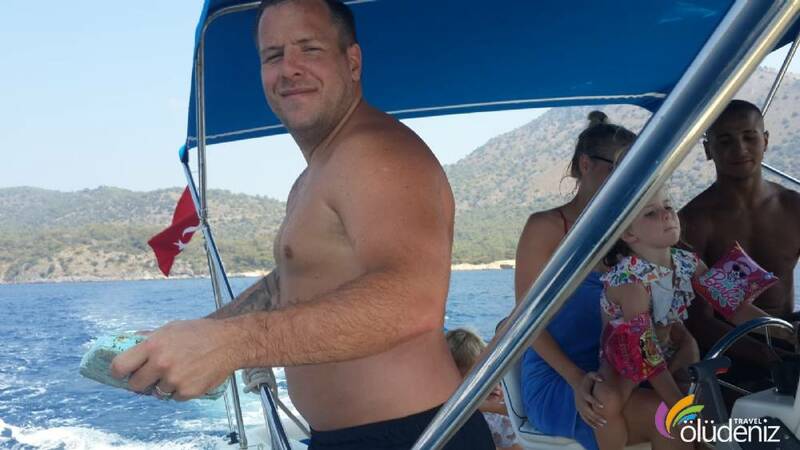 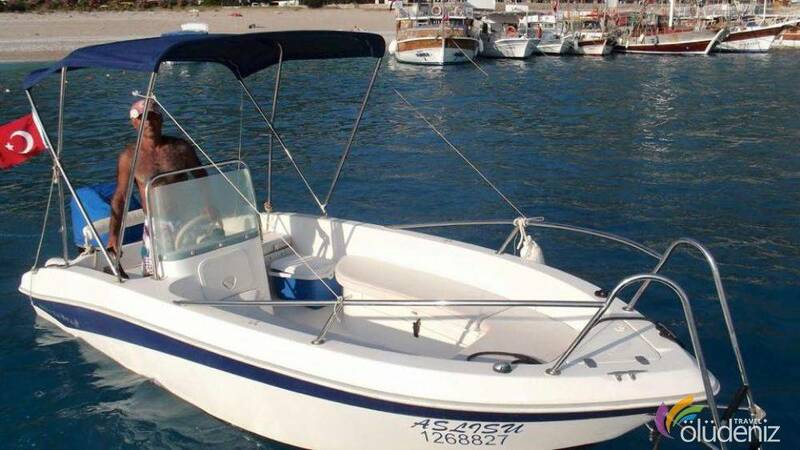 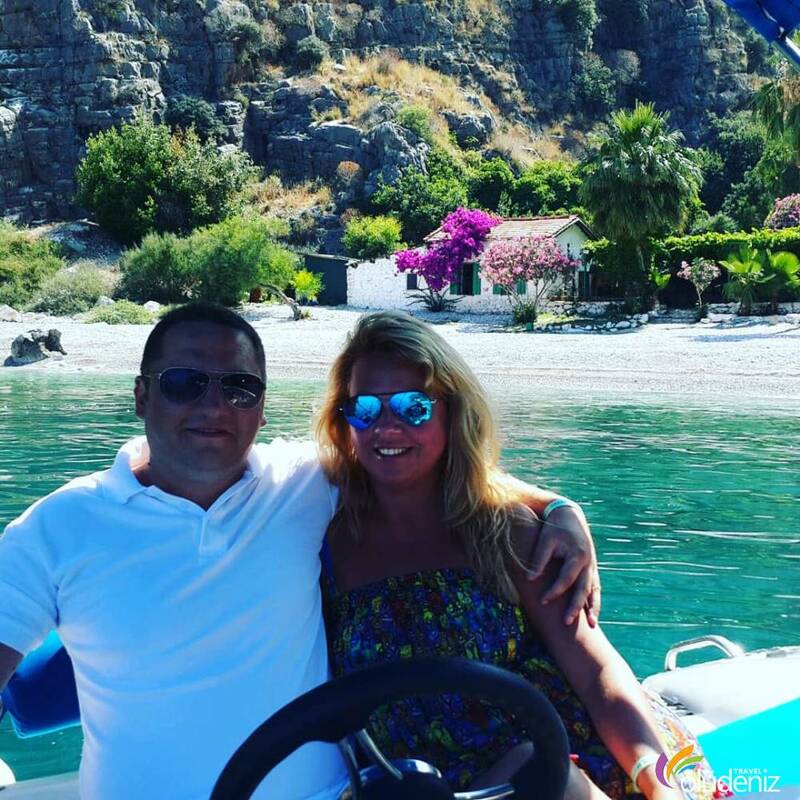 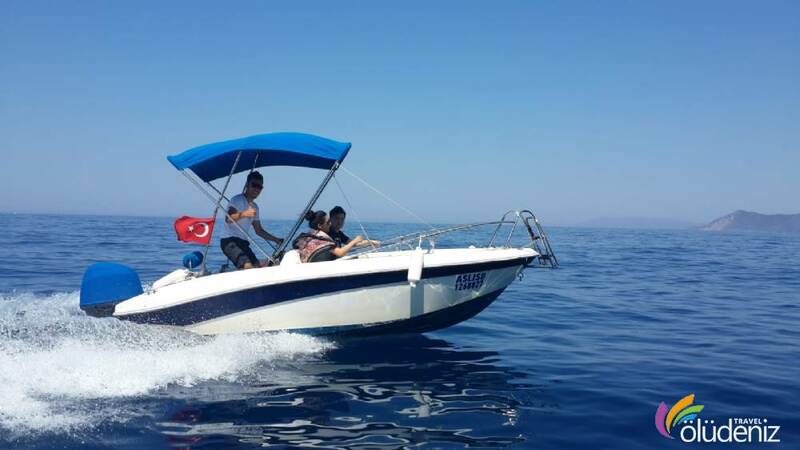 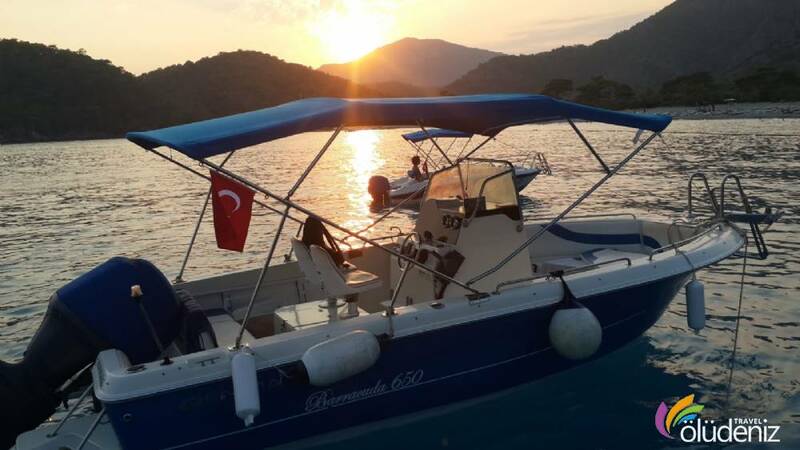 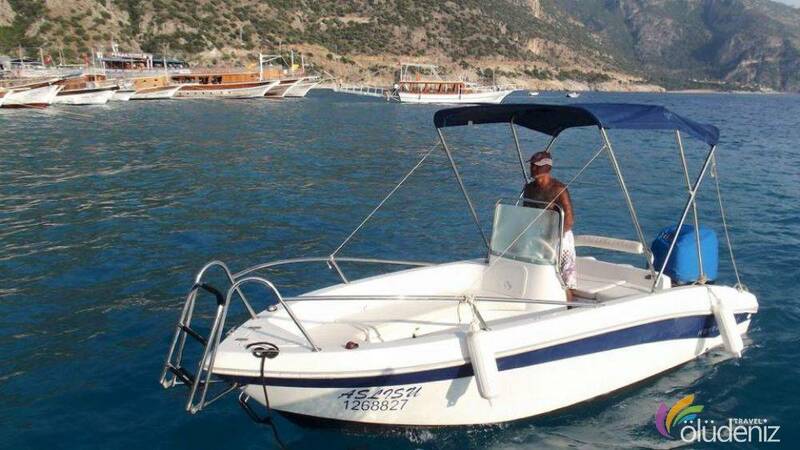 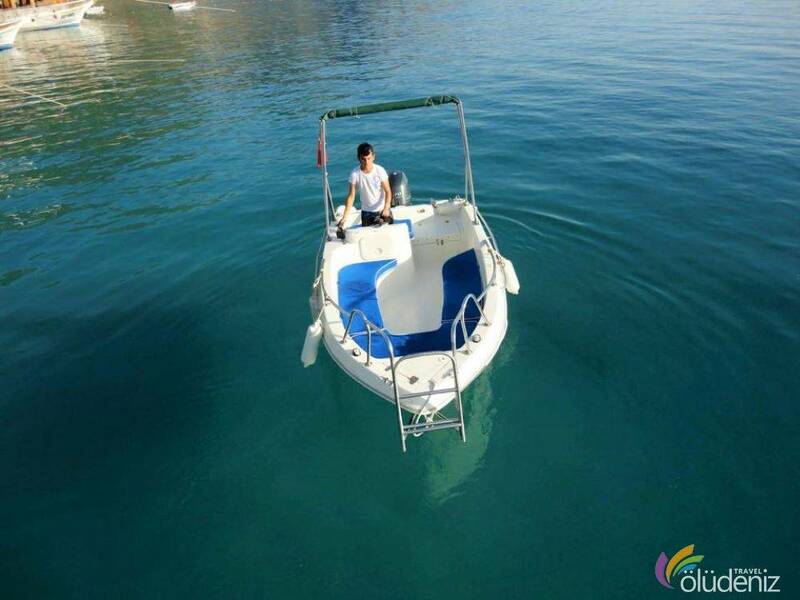 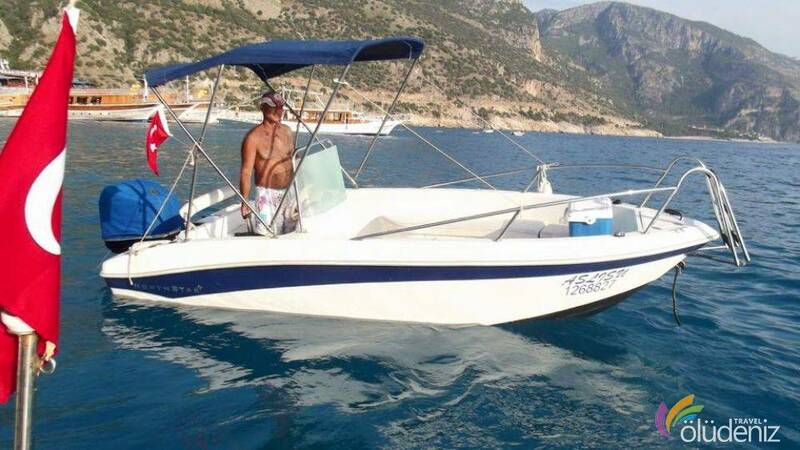 You can be the captain of your boat in the day by renting Oludeniz Speed Boat. 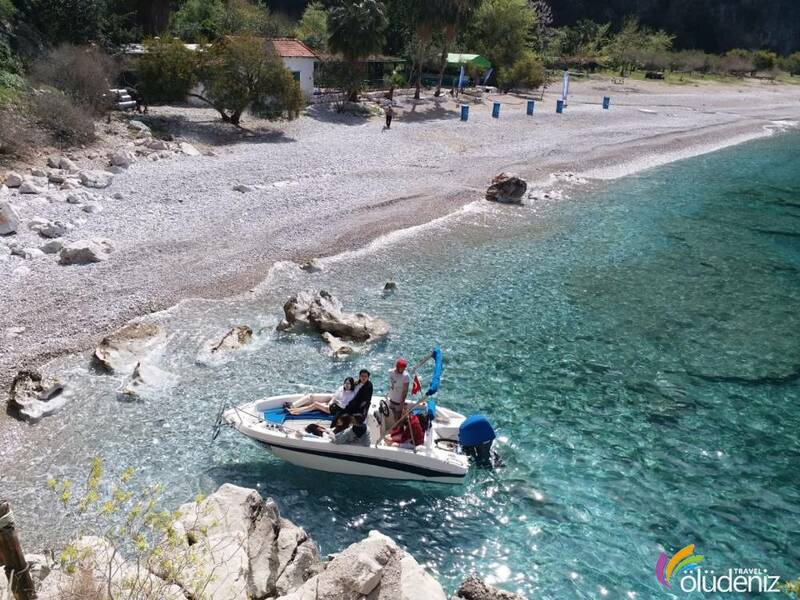 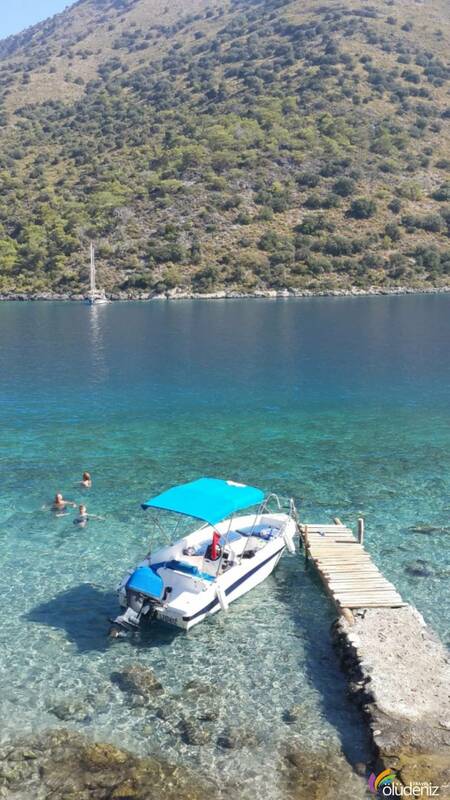 If you prefer, you can explore the secluded bays and beaches of Oludeniz with the captain. 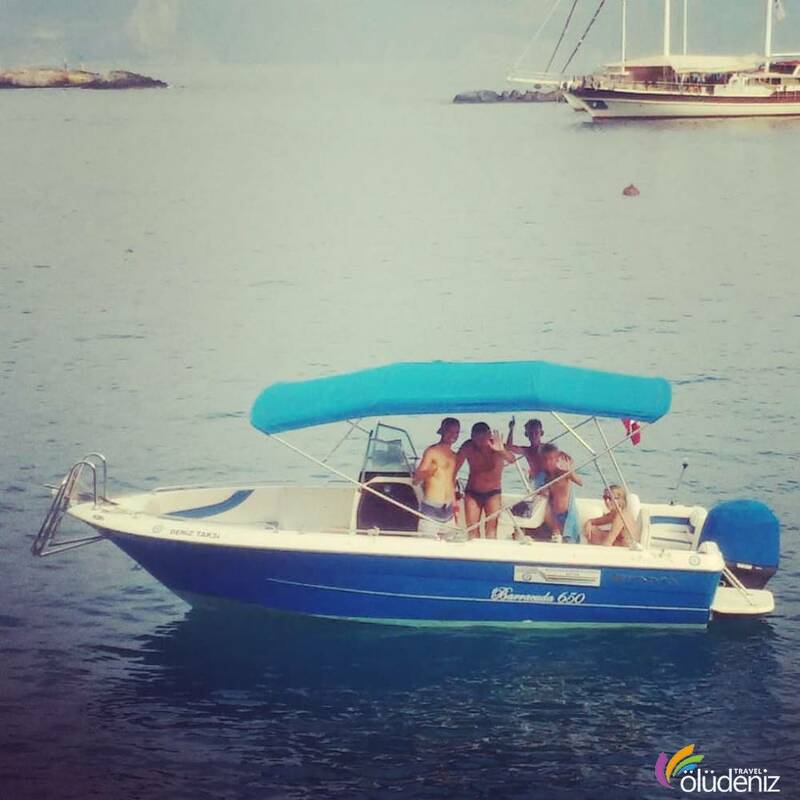 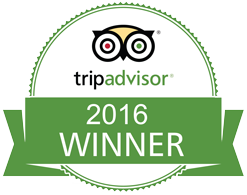 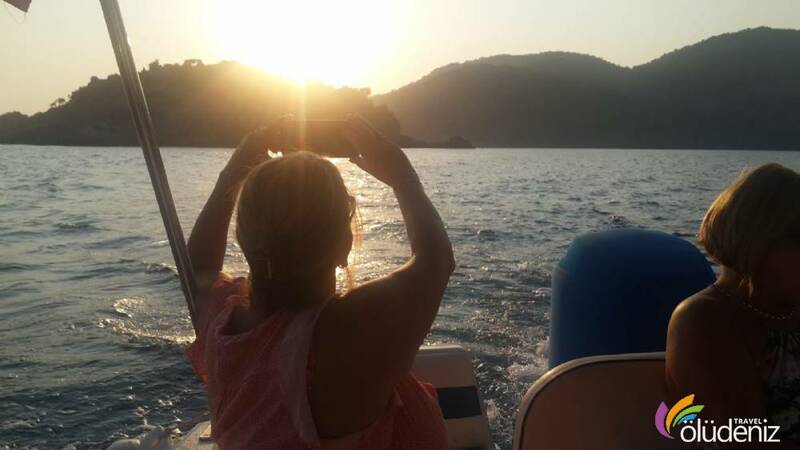 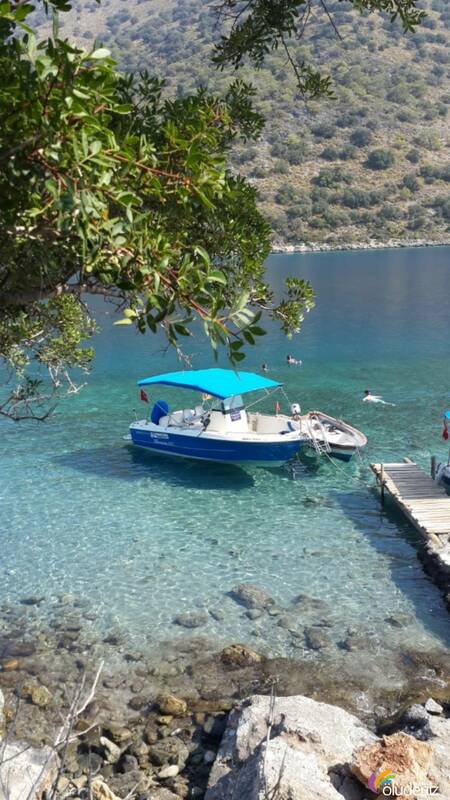 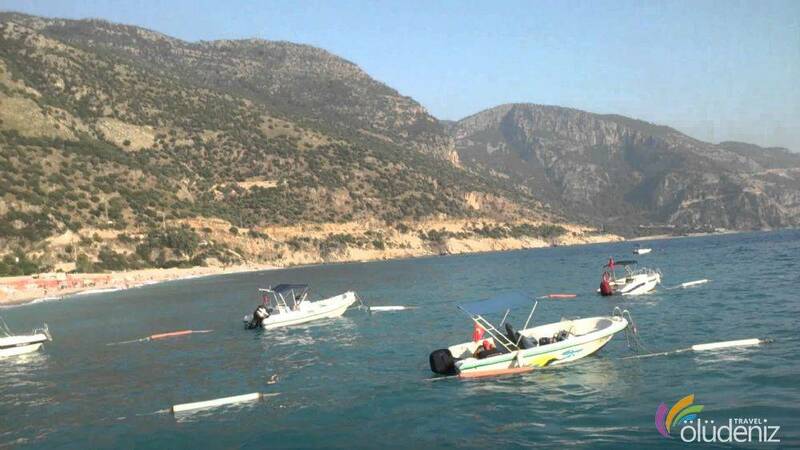 Just enjoy the blue water of Oludeniz by speed boat tour in which you can award yourself. 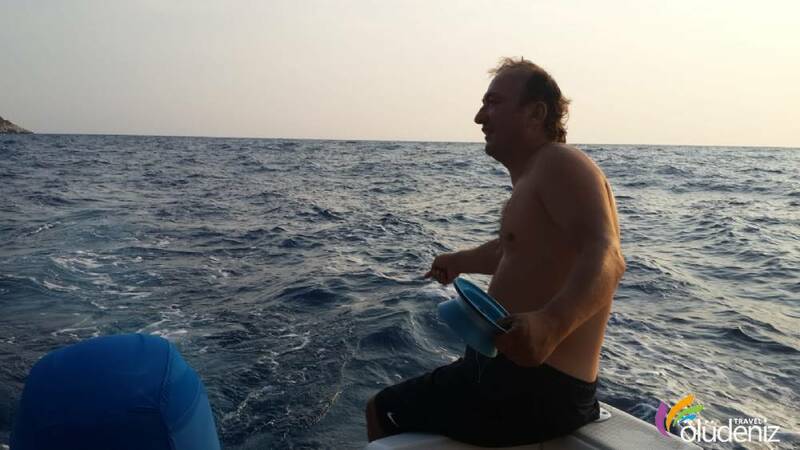 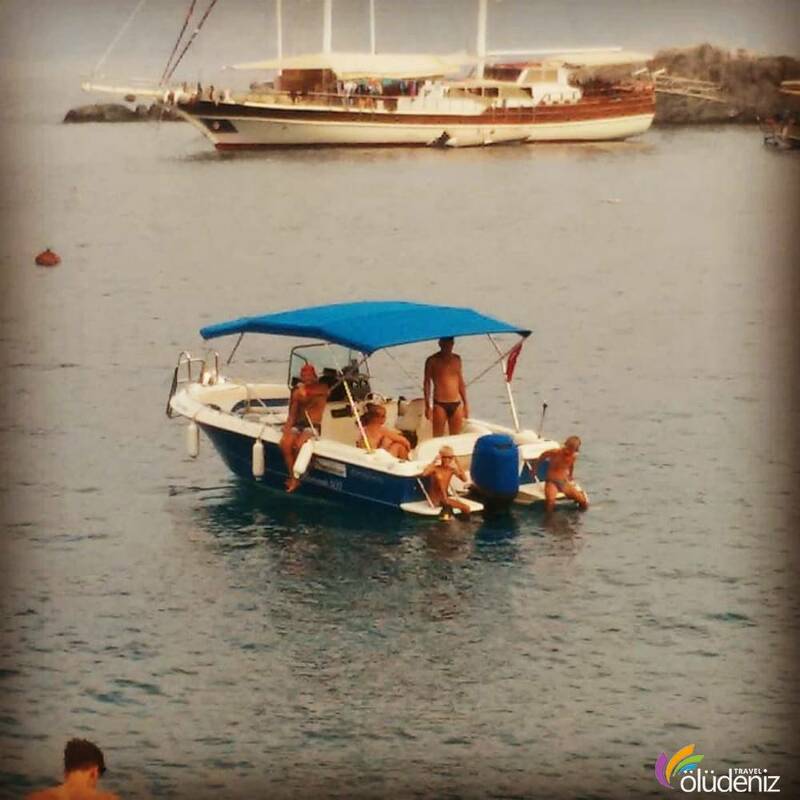 What kind of equipments are there in Ölüdeniz Speed Baot Cruise ? 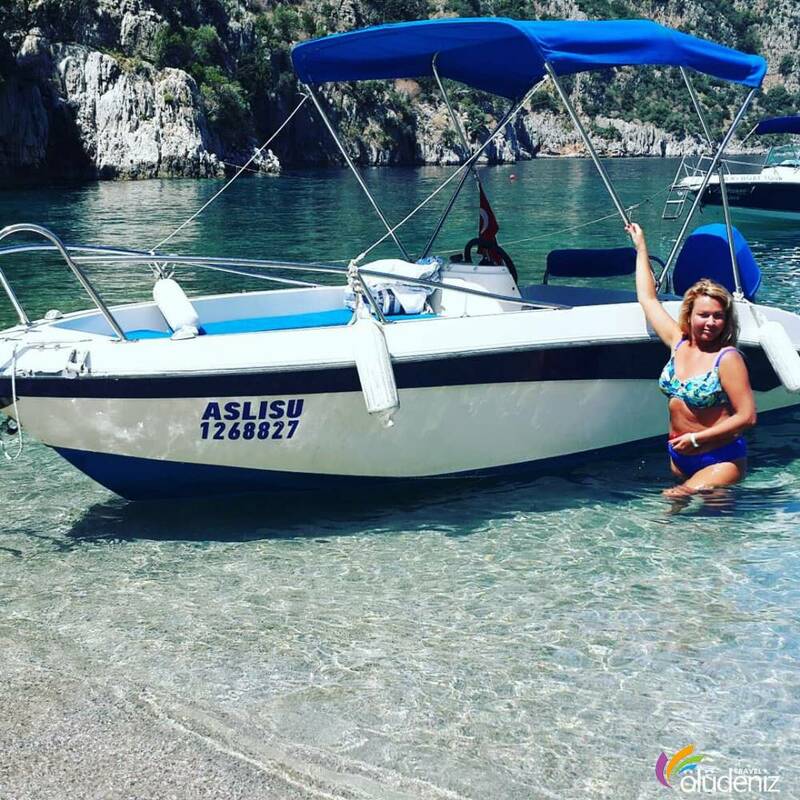 Where else can I go with the speed boat ? 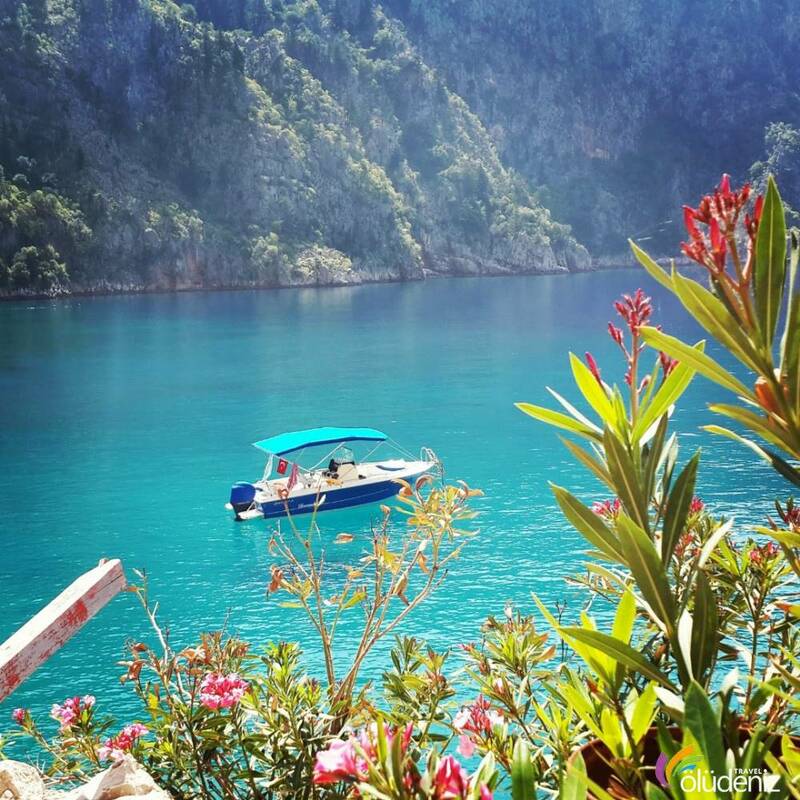 After a shor brief, you can cruise to the secluded bays an islands of Ölüdeniz. 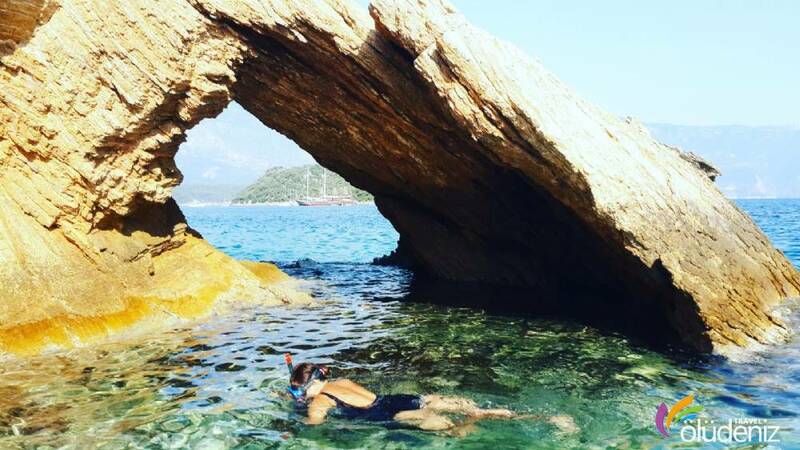 Especially, the blue cave, the watefall, Buterfly Valley, Kabak Bay, The Paradise Beach, The Camel Beach, The Cold Water Bay, St. Nicholas İsland, The Aquarium Bay and Gemiler Beach. 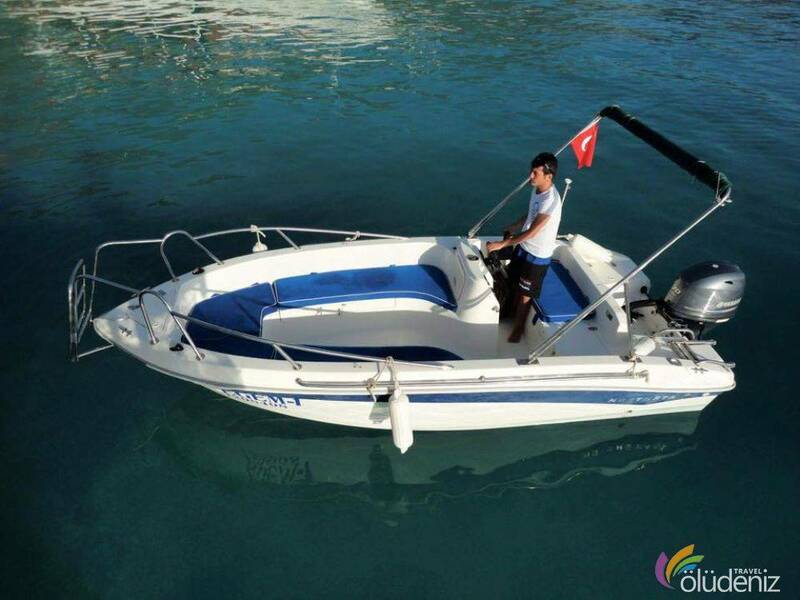 Upon your renting, 12 litres of fuel is given. 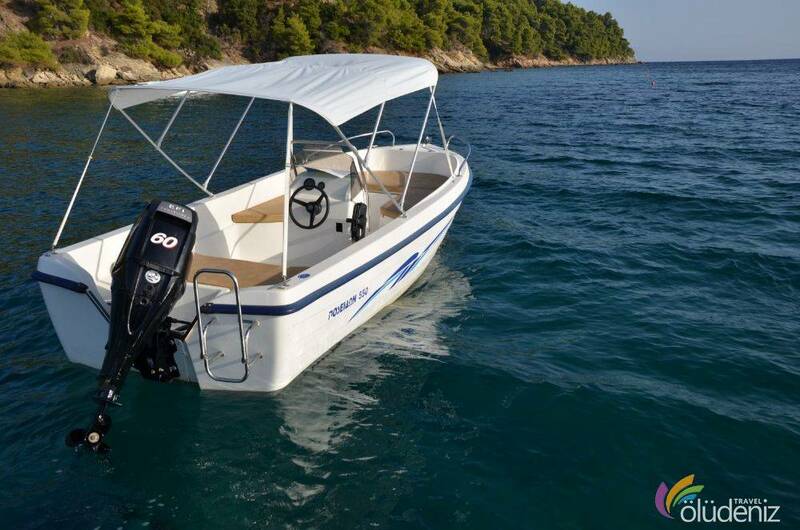 If you run out of fuel, you can use the extra 5 litres of fuel which is ready on boat. 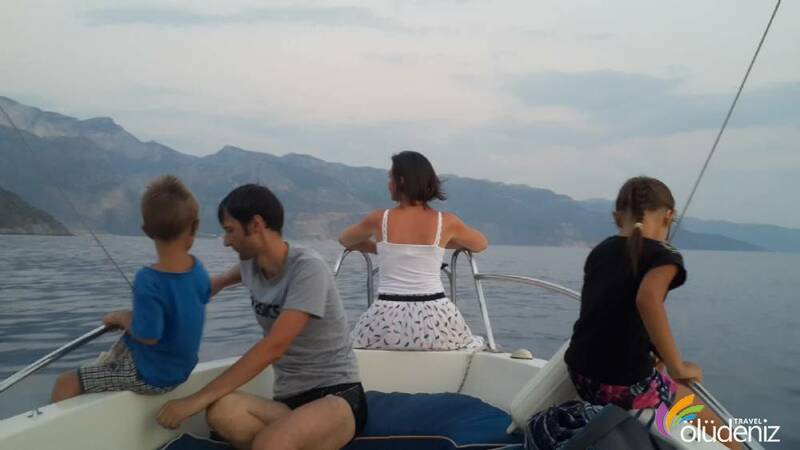 You just pay the extra fuel if you use on the daily currency. 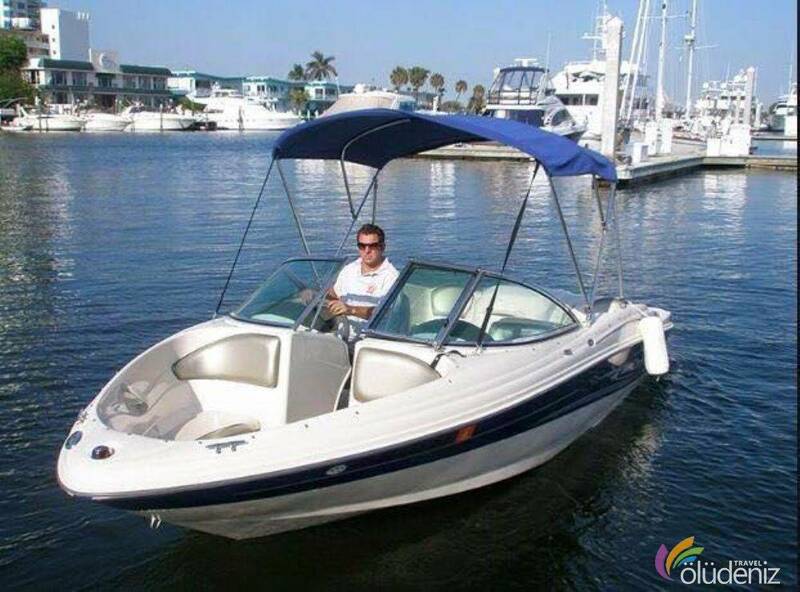 What is the horsepower of the boat and the dimesnsions of the boat ? 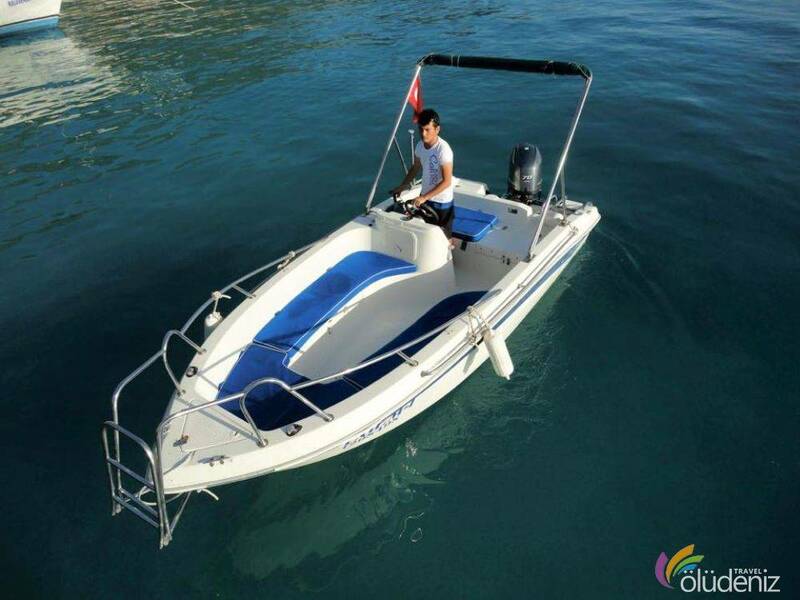 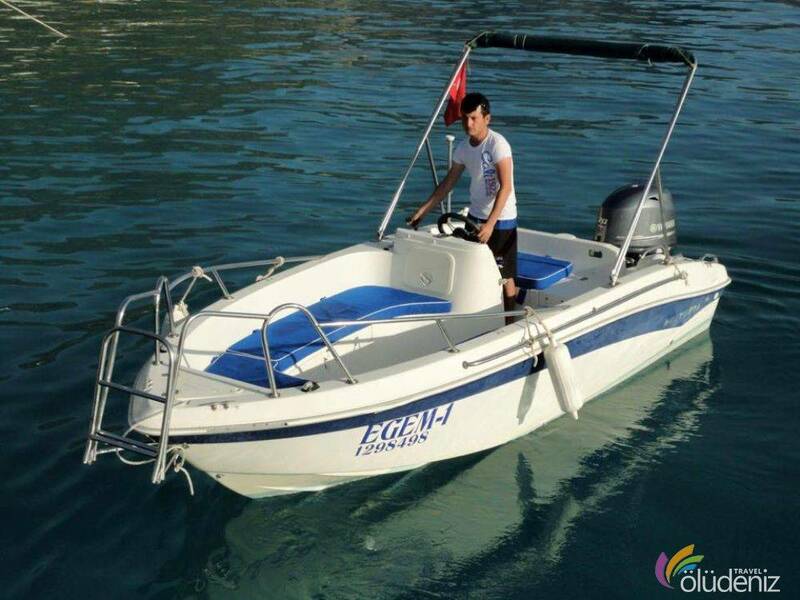 The Ölüdeniz Speed Boat is 5 metres long and has an engine of 70 hps with 4 time engine. 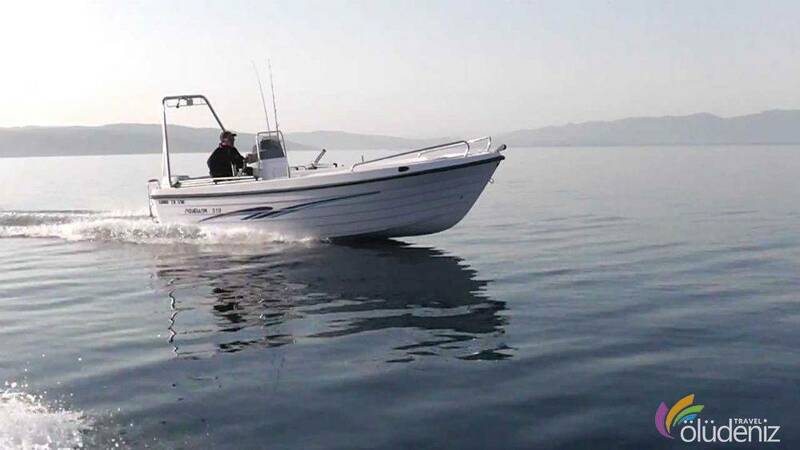 What if a breakdown with the boat occurs ?